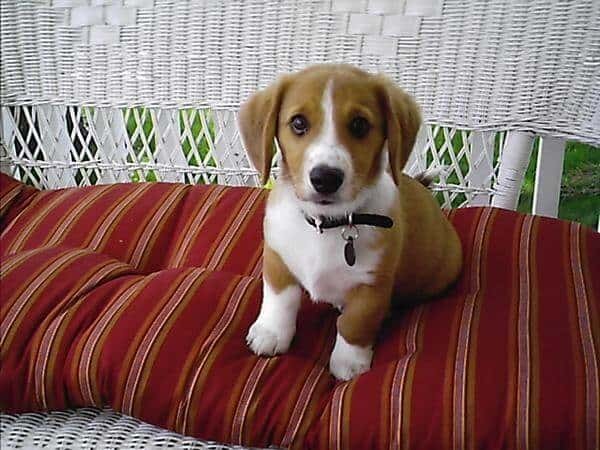 Did you ever wonder how a Corgi Beagle mix look like? Perhaps, how they can interact with you and everyone in your family? One thing’s for sure: this crossbreed is one of the cutest breeds you’ll see! 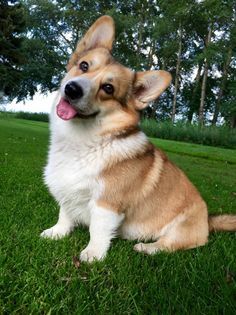 Corgis are very popular with their small and fluffy body, upright ears, and short dainty feet. No wonder they’re also called “dwarf dogs”! Their wobbly walks and hops are just so adorable that you can’t wait to give them those sweet snuggles. 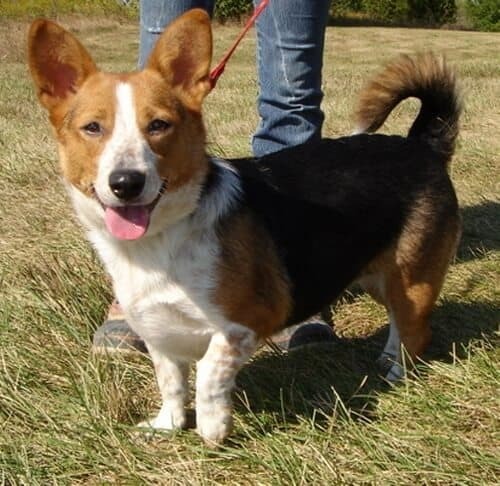 But besides these physical features, Corgis are friendly, outgoing and charmingly playful! If you could ever think of another friendly breed that you can bring home to your family, Beagles would’ve probably crossed your mind. Beagles come from the family of hounds that possess a very powerful sense of smell. They’ve got those lovely droopy faces and long ears that flop along the wind when they run for a hunt! Well, come to think of it. When these two incredible dog breeds combine, wouldn’t that be a stunning hybrid? It would be really nice to welcome such a beautiful breed into your family. But how do you care for one? What is their personality and behavior? 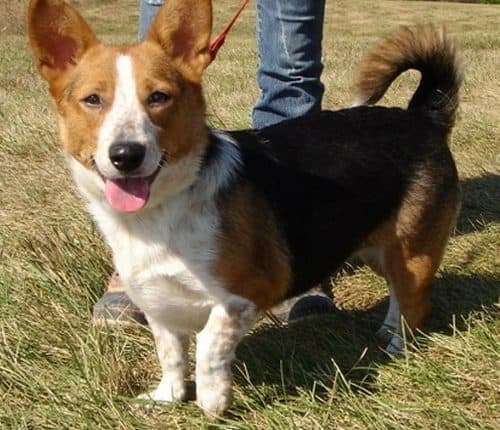 What else should you need to know about a Corgi Beagle Mix? 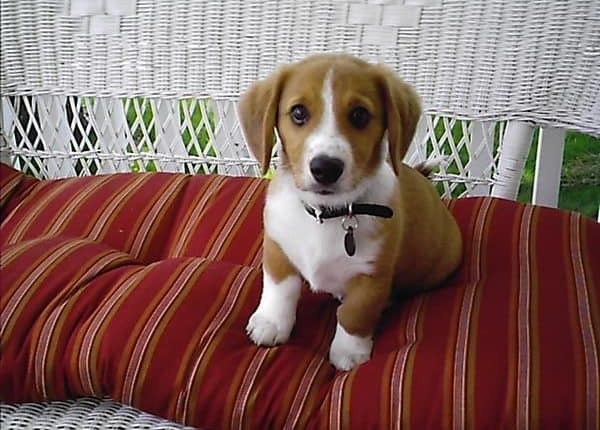 A Corgi Beagle Mix is the offspring of a Beagle and Corgi breed. Also known as Beagi, this crossbreed has an exceptional appearance and a charming behavior to show off. Although they possess the characteristics from both of their parents, there’s always a dominant nature and personality that you will notice as they grow. As you know, Beagles and Corgis demonstrate distinct behavior toward people and dogs. They both show intelligence, amiability, enthusiasm, and gentleness. Although Beagles are more determined as a hunter and an incredible sniffer, Welsh Corgis on the other hand exhibit a playful and outgoing side but can also be protective at times. If you are planning to welcome a Beagi to your family or an addition to your furry family, or perhaps you already have one, you’ve got to be familiar with their nature and provide the proper care, treatment, and companionship. If you’ve seen a Beagle or a Corgi before, you’ll at least have an idea what their tiny furry puppies might look like when their breeds crossed. They can either acquire more physical characteristics from the Beagle side or the Corgi side. It’s always a surprise. But, what physical features can you expect? COAT: Similar to the physical characteristics of Beagles and Corgis, Beagi dogs have soft and smooth coat that can sometimes be thick but usually in short length. It can also shed from time to time depending on the season of the year. But like Corgis, your Beagi dog may also shed its coat during fall and spring. Nonetheless, their coat are long enough to keep them safe and protected all throughout the seasons of the year. COLOR: The color depends on one dog to another. They can be tri-color which is a Beagle’s signature color. It can also be a combination of lemon and white. Aside from that, their coat color can have striking shades of black and tan, fawn, black and white, sable, orange and white, brown and white, red and white, white and tan, or chocolate tri. EYES: While it still depends on what breed they are genetically inclined, Beagi dogs usually acquire a combination of hazel and brown eye colors. 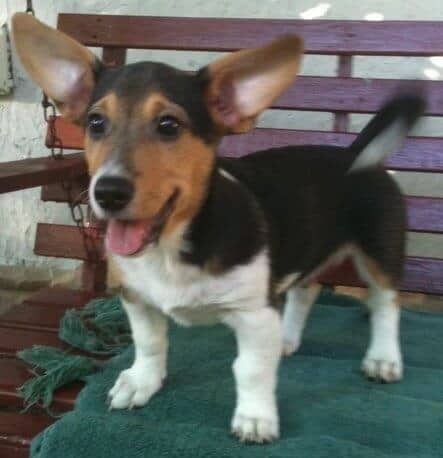 EARS: Their ears can either be upright like Corgis or long and floppy like Beagles. WEIGHT: This crossbreed belongs to the medium-sized dog breeds. So, you can expect them to weigh between 10 to 20 pounds. However, the weight can also depend on the nutritional diet you provide for your dog. HEIGHT: They are not tall for sure. Just like Corgis, these Beagi dogs are typically short because of their short legs, which make them impeccably unique compared to other crossbreeds. There are times when they are not completely as short as the Corgis, though. They can be as tall as the Beagles that can range from 33 to 41 centimeters. Sometimes, the height depends on what gender the dog is. PHYSIQUE: Whether they are medium or short in size, Beagi dogs usually display strong and stocky physique. Although they are not as muscular as the other large or medium-sized breeds, their adorably chunky but also fit body allow them to engage into different kinds of physical activities and exercises. They are as friendly and gentle as what they look like. Beagi dogs are amiable, loyal, and loving to their owners. They offer an unconditional affection and companionship to their owners which make them a great family dog. When it comes to the interaction toward other dogs in the neighborhood or other furry members of the family, this furry companion are great with befriending. They are not as aggressive as what most dogs are but it may still depend on the behavior it had developed from the training and upbringing. Moreover, they can also show being protective of their owners toward strangers and other unknown dogs within their territory. Also, considering the background of Beagles as hunters and Corgis as herders, don’t be surprised if your Beagi can be really feisty. They are not just all about fluffy coat, charming faces, and adorable stocky physiques. They’ve got the brains, too! Beagi dogs show an impressive intelligence that they also inherit from their parents. This amazing characteristic make them more responsive to basic commands, training, and tricks. Although they are not usually trained as working dogs or guard dogs, they can offer great service and assistance to the family, especially to those elderly who need a helping hand. Just like most dog breeds in the world, Beagis are naturally playful. Like if you want to play fetch, run across the fields, or just play along with their chew toys, they would not definitely miss a playtime with you. Both Beagles and Corgis have high energy levels, so this crossbreed is likely to have the same energy that you should get along with. You have got to keep up with your dog. They can’t take being left alone or locked out at home or in the cage. They are always excited to play with you any time of the day! Well, yes. They can sometimes be stubborn, too. Although, it is also a common and natural behavior of dogs, Beagis might need all the patience you have. Corgis are pretty stubborn in many cases. And because Beagles are bred as hunters, they often get their heads onto chasing rather than obeying. So, if you call them out or ask them to respond to a trick or command, they might not be responsive the first time unless you have a chunky chicken or bone on hand. However, as what was mentioned, it still depends on the training and treatment you give. Patience is the key! Your Beagi can be as determined as the Beagles. Just like their genetic breed, Beagi dogs might always be on the run for a hunt or chase whether it is a rat or another dog they are after! You need a lot of patience when dealing with this hybrid. As part of their personality, their stubbornness can hold them back from obeying your commands and basic tricks. But, of course, hard work always pays off. So, if you are firm and determined in training your Beagi, you will likely expect the results you want. Although these Beagi dogs can get along with the other dogs and people quite well, obedience training and socialization in their earliest days play a huge role to their development. You can get your dog participate in certain obedience activities and training that will help him be more obedient and sociable in the long run. If you are outgoing and planning to take your dog outdoors, it is better to have your dog leash trained first. You can try the Downtown Pet Supply Dog Training Leash to help him out. Like what we have learned, they are pretty stubborn. Taking your dog outdoors without proper training would be a tough challenge! On the other hand, if you are truly decided to take a Beagi home, you have to keep up with its high energy levels. You should make time with exercise and other physical activities. It will keep him healthy, strong, and fit, too! The Tespo Dog Playpen would also be a great help if you want your Beagi play and have fun indoors without messing with your sofa and everything else in your house! Every dog has its own nutritional needs. And if you want your Beagi to be in its healthiest condition all the time, you need to provide an appropriate diet that can help your dog grow and develop. You should provide a meal plan that consists of the essential nutrients and minerals for your dog. Feed your dog well and don’t let it overeat to prevent obesity and other potential health risks caused by it. You can try out the best dog food for Beagles such as the Nutro Lite and Weight Management Adult Dry Dog Food or the Wellness CORE Natural Grain Free Dry Dog Food. You can also try some dog foods that are appropriate for Corgis such as Hill’s Science Diet Dry Dog Food. Always make sure that the dog food you’re feeding is high-quality and has all the balanced nutrients your dog needs such as protein, fat, and Vitamin C and E. Your dog’s healthy growth and development depends on its regular diet. Beagi dogs have moderate shedding. Hence, grooming is not really a huge problem. Frequent brushing and regular baths will do. It would also be better to have your dog’s nails regularly trimmed using a clipper or a nail grinder. Just make sure to pick out only safe and trusted dog shampoos such as Natural Oatmeal Shampoo & Conditioner or Paws & Pals Natural Dog-Shampoo And Conditioner to keep your dog’s coat shiny, healthy, and odor-free all the time. It can also help minimize skin problems, bad odor, and itches. 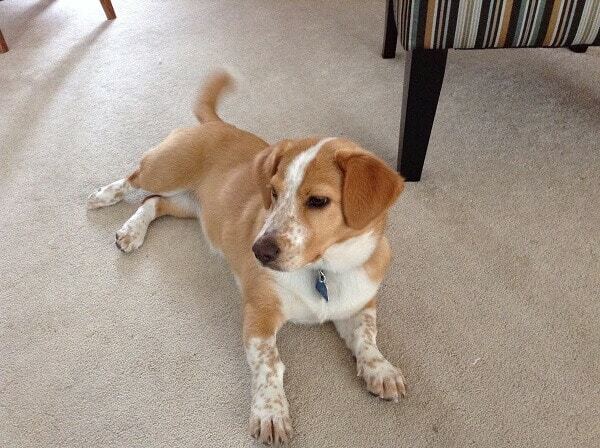 Corgi Beagle mix breeds also encounter potential health risks over time. It includes joint and back problems, epilepsy, ear infection, and allergies. When such health problems occur, always seek help from your veterinarian. What is the Lifespan of Beagis? As much as we want to live them longer than they should, a Corgi Beagle mix or a Beagi has a lifespan of 12 to 15 years. So, make every single day with them count and provide the proper care your dog truly deserves. 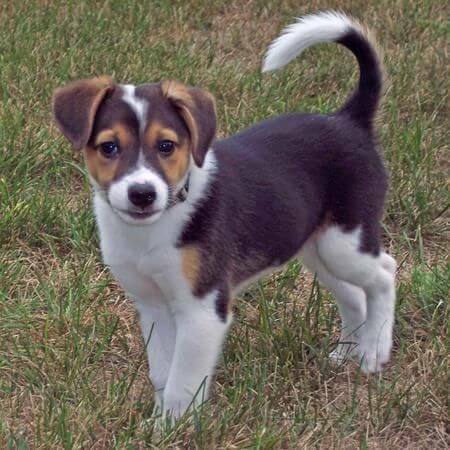 Corgi Beagle mix breeds or Beagis can make a wonderful family dog. Their physical features don’t only make them truly exceptional and adorable but also their behavior and personality that make them even more worthy of love and affection. Beagis are friendly, loving, gentle, playful and active. But they can be pretty stubborn at times, so you’ll definitely need a lot of patience. They have high energy levels. You have to feed your dog right by giving him only high-quality dog food that consists of protein, fat, and carbohydrates and other essential nutrients your dog needs. They are prone to allergies, back and joint problems, ear infection and epilepsy. Beagis have a lifespan of 12 to 15 years. Has this article helped you in caring for your Beagi? Should you have concerns or questions, don’t hesitate to share them through the comment box below. Let us know!